Townsville Mayor Jenny Hill and Queensland Premier Annastacia Palaszczuk toured the local advanced manufacturing plant creating the fittings for the city’s new water pipeline. The RPC facility in Mount St John is expected to employ almost two dozen local workers when it is running at peak production. 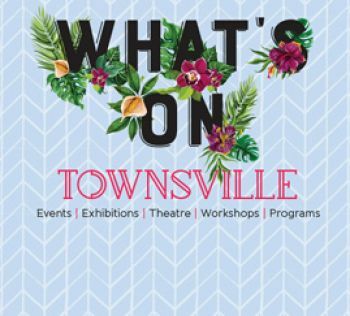 Mayor Jenny Hill said the pipeline project had provided a boost for Townsville’s advanced manufacturing sector. “These fittings are crucial to ensure the new water pipeline can be built and they are being made right here in Townsville,” Cr Hill said. “The contract to provide and install the pipes for the pipeline was awarded to Iplex and included ensuring advanced manufacturing was established locally, which has been done through Iplex’s partnership with RPC. The fittings are used to join sections of the 1.8-metre diameter Glass Reinforced Polymer pipe during sections where there is a bend or change of direction. The project includes more than 80 bends and custom-made joins. Townsville Water and Waste Committee Cr Russ Cook – who toured the RPC facility yesterday – said the pipeline was Council’s top infrastructure priority. “Council is determined to complete this project by the end of the year,” Cr Cook. “The pipeline will create up to 1000 jobs over the life of the project – from people working on site to manufacturing related products – and it will help deliver long-term water security for our city. The Queensland Government has invested $225 million to improve water security in Townsville.